Richard L. Davis is a distinguished historian of middle-period and late imperial China. He was born in Buffalo, New York to Darcy Raymond Williams, a minister of Pilgrim Missionary Baptist Church, and Jessie Mae Belton Davis. In 1973, he earned bachelor’s degrees in both political science and Asian studies at the State University of New York. Two years later, he received a master’s degree in history. He soon left Buffalo and earned a second master’s degree in East Asian Studies at Princeton University in 1977. In 1980, he obtained his doctorate in history. Davis landed his first teaching post at Middlebury College in Vermont as the David Macey Visiting Assistant Professor of History. He taught at Duke University in North Carolina from 1982 until 1987 and then Brown University for the next seventeen years where he chaired the East Asia Studies Department. Fearing his views might be limited if he stayed in the United States, he went to China to exchange ideas with Chinese scholars. From 1996 to 1998, Davis was a visiting professor at Taiwan’s Tung-wu University and National Chung-cheng University. In 2006, he joined the faculty of Hong Kong’s Lingnan University as chairman of its History Department. Davis wrote extensively on the Song and Five Dynasties. Of his six books, Court and Family in Sung China: Bureaucratic Success and Kinship Fortunes for the Shih of Ming-chou (1986) best represents his exceptional scholarship. Recounting the experiences of the Shih family of late eleventh-century in southeastern China, one critic in the American Historical Review hailed it as “vivid and absorbing.” His second book, Wind Against the Mountain: The Crisis of Politics and Culture in Thirteenth-Century China (1996), also published in Chinese, examined Chinese resistance to Mongol invaders. In 2004, he translated and wrote an introduction for Historical Records of the Five Dynasties [Wudai shiji] and Ouyang Xiu. In 2009, he wrote part one of The Cambridge History of China, Volume 5: The Sung Dynasty and its Precursors, 907-1279, a narrative on the reigns of the emperors Kuang-tsung, Ning-tsung, and Li-tsung. In 2009, he authored Lingren, Wushi, Lieshou: Hou Tang Zhuangzong Li Cunxu Zhuan, a biography of Li Cunxu, Zhuangzong of the Later Tang dynasty, which was published in Beijing. In 2014, he published his sixth book From Warhorses to Ploughshares: The Later Tang Reign of Emperor Mingzong. In addition, he also published numerous articles in academic journals both in the United States and China. Throughout his career, Davis led student study-abroad tours of Japan, Taiwan, China, and Hong Kong. He was president of the Song Studies Group for the Lingnan Region and was a Foundation Fellow of the Hong Kong Academy of the Humanities. 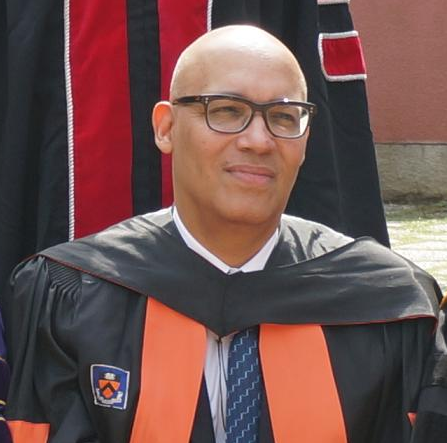 In 2016, Davis retired from Lingnan University. Interview on History News Network site at https://historynewsnetwork.org/article/35430; Richard L. Davis podcast at https://newbooksnetwork.com/richard-l-davis-from-warhorses-to-ploughshares-the-later-tang-reign-of-emperor-mingzong-hong-kong-up-2015/; Lingnan University profile of Davis at https://www.ln.edu.hk/history/staff/davis.php.